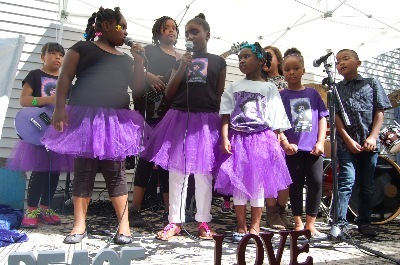 We serve youth of all ages from 5-21 years old, with our innovative and effective music and mentoring programs! 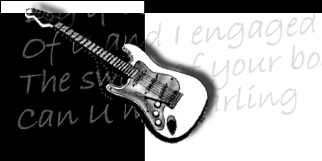 Technique and theory of playing and composing with guitar, bass, drums, piano, voice, and orchestra or band is taught by experienced and educated music instructors on a regular basis. Students can choose any number of instruments to learn, and are encouraged to learn several aspects of music. This program is geared to serve young children from age 5-8 years old. We introduce this age group to the fundamentals of music in a fun and nurturing environment. We explore many different instruments and styles of music from classical to rock. This program was named by Jimi's brother, Leon Hendrix! Here we introduce elementary age students from grade 1-5, to reading music, and playing an instrument of their choice. Emphasis is on having fun while learning how to read music and play an instrument. Here students who have graduated from beginning orchestra, can begin to play side by side with the band, and perform on stage at one of our annual performances! 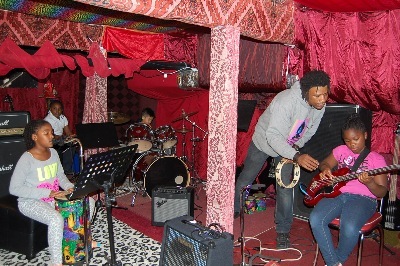 Students are introduced to traditional band instruments, Drums, Bass, Guitar, Keyboards, and are taught to play by ear and together in small groups. Emphasis is on having fun while learning about music and performing! Students who demonstrate a higher level of musicianship and performance in our programs, are invited to represent the Hendrix Music Academy at our public performances honoring Jimi Hendrix, and an annual national performance. This year, we are going to the Rock n Roll Hall of Fame in Cleveland OH to perform a rock show! A favorite program among students at the Hendrix Music Academy! With the help of professional audio engineers, students learn audio engineering and music production using industry standard ProTools. 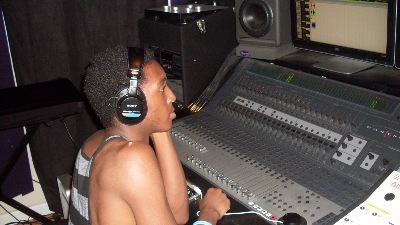 Technology and computer based music recording systems are used all over the world by professional recording studios and producers, and students will gain valuable job skills that are in high demand. Audio Engineers that are trained in ProTools, can earn more than $100 per hour, depending on experience! Musical Instrument Program: Many of our students and their families cannot afford to buy or rent an instrument for their At-risk Youth student. At the Hendrix Music Academy, we provide music instruments and all necessary accessories to our needy students through our musical instrument program. Students receive a quality music instrument, all accessories, and maintenance or repairs for that instrument. For example, a needy student who chooses to learn guitar, will be provided with a quality guitar, strings, cords, amp, instrument case, tuner, accessories, books and maintenance/repairs for their equipment. Healthy Meals Feeding Program: All of students, volunteers and mentors receive a healthy meal as part of every class. Vegetarian, Kosher and Gluten Free choices are offered for all participants. Classes are often intense and last longer than 3 hours and many students commute from far away to participate in our programs. Nourishment is critical to brain function and a sense of well-being. Having a meal among friends is a great way to start each class day, because we have the opportunity to socialize and talk about recent issues, enjoy a sense of community and use this time brainstorm and plan musical goals for the day. 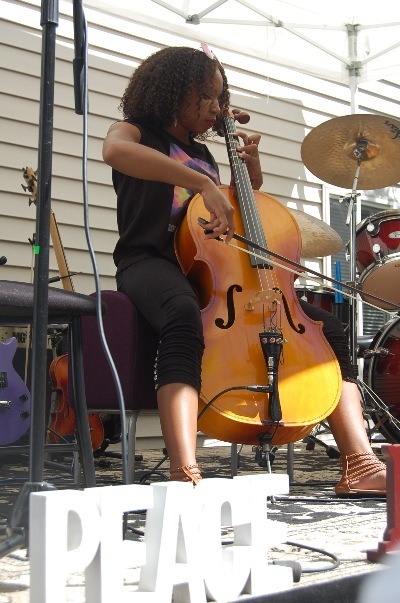 Inner city teens have the opportunity to participate in an intensive 140 hour music program that takes place over the summer months, when they are out of school. Teens with no previous music experience or knowledge can choose to learn to play an instrument, compose a song, record a song or help produce a live concert. Teens gain valuable work experience and earn money at the same time! Music Production 101: Our hands-on music production program puts students in the producer’s chair, and teaches them how to oversee and manage the music recording or “production” process of a song, from start to finish, in a professional caliber recording studio. Students learn how to gather ideas for projects, select songs and musicians for producing, manage the creative process in the studio while guiding the musicians and controlling the recording sessions. Students learn how to supervise the entire song production process, all the way through to the final mix. Students learn how to communicate with the audio engineer to achieve the desired result. Students also learn about the differences between music producers and executive producers, and learn to manage the budget and keep all players on a strict production schedule. Students work on music projects to produce a proper sound recording that is in radio ready format. Songwriting/Composition: Students learn to compose original music by working with professional songwriters and other students. Students receive support with each new song project and have access to books, and videos that help them enhance their writing skills. Tina Hendrix, that has been serving the At-risk youth of our communities, since October, 2009. Our innovative music and mentoring programs encourage and develop good musicianship, citizenship and reduce juvenile delinquency, which in turn, reduces violence and crime in our communities. Technique and theory of playing and composing with guitar, bass, drums, piano, voice, an orchestra or band is taught by experienced and educated music instructors on a regular basis. Students can choose any number of instruments to learn, and are encouraged to learn several aspects of music. Our hands-on music production program puts students in the producer’s chair, and teaches them how to oversee and manage the music recording or “production” process of a song, from start to finish, in a professional caliber recording studio. Students learn how to gather ideas for projects, select song sand musicians for producing, manage the creative process in the studio while guiding the musicians and controlling the recording sessions. Students learn how to supervise the entire song production process, all the way through to the final mix. Students learn how to communicate with the audio engineer to achieve the desired result. Students also learn about the differences between music producers and executive producers, and learn to manage the budget and keep all players on a strict production schedule. Students work on music projects to produce a proper sound recording that's in radio ready format. 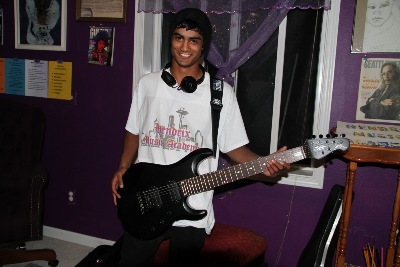 Many of our students and their families cannot afford to buy or rent an instrument for their At-risk Youth student. At the Hendrix Music Academy, we provide music instruments and necessary accessories to our needy students through our musical instrument program. Students receive quality music instrument, all accessories, and maintenance or repairs for that instrument while they're a student here. For example, a needy student who chooses to learn guitar, will be provided with a quality guitar, strings, cords, amp, instrument case, tuner, accessories, books and maintenance/repairs for their set-up while they are a student at the Hendrix Music Academy. Students learn the basics of the music business by working in and experiencing the music business! Students learn everything from how to write a song, to producing, publishing and performing their music! We believe that experience is just as important as education, and that they must go hand in hand. Students have the opportunity to learn and enhance skills in the following areas: Performing Music on Stage, Promotion of Music, Live Show Video Production, Stage Management, and more! Live performance is a critical component of good musicianship, and we provide our students with the opportunity to participate in several live music shows per year. Students write, record and rehearse their music until they are ready to participate in one of our annual live recital concerts. Experience is everything when it comes down to performing live on a public stage, and they learn by experience and by watching the film footage of their performances. They learn to play for different audiences and how to interact with the audience and community by performing liven stage. Students learn how to produce a live music concert by working as a team and putting on actual show. 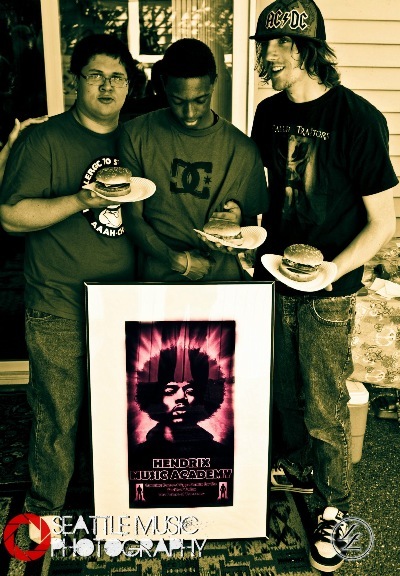 Each year, the Hendrix Music Academy presents several live music shows to the community. They learn how to setup a concert back line, create and manage a show schedule, manage the stage, and operate sound systems. They learn about the costs and income potential of concerts. They learn how to create concert promotional materials and how to promote themselves as musicians, and how to promote live music shows. They also learn the art of presenting a show for an all ages, diverse general audience from the community. They learn more about being a global citizen when interacting with people from diverse backgrounds. Students are introduced to the intellectual property copyright laws, and learn music publishing by experiencing the actual process of publishing their own original recorded songs. 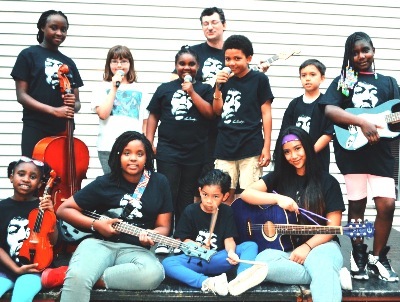 The Mission of the Hendrix Music Academy, is to provide Music Education, Intervention and Mentoring programs to Musically Gifted At-risk Youth, so that they can achieve their highest potential as Musicians, Leaders and Contributing Global Citizens. At the Hendrix Music Academy, we teach so much more than Music! We teach AGAINST: violence, hate, crime, ignorance and poverty. We advocate FOR: arts in the community, peaceful solutions, acceptance of others, embracing diversity, encouraging education, and charity in our world. We teach young people the life skills and strategies that they need to overcome challenges, and achieve life goals. We encourage our students to continue their education, live responsibly in the world, and to help others when they arable. At the Hendrix Music Academy, we mentor our students to become global citizens. In order to become a true global citizen, certain aspects of global citizenship such as becoming educated and experienced as contributing citizens, must be taught. We lead by example and by the way we live our lives, and the way we conduct ourselves in public. We learn not to offend others by learning what offends others. At-risk youth learn to give by receiving, they learn to teach by being taught, it is our goal that by giving them the support they need to reach their potential, they will in time, learn to give that support back to another person in need. We mentor At-risk-Youth students, throughout the challenging teenage years, to become educated, responsible, and global contributors. They learn this technique by participating in our dynamic and charitable programs that redesigned to help At-risk Youth make progress toward reaching life-goals, such as High school completion. We present At-risk Youth with opportunities such as helping feed the hungry with our annual fall food drive, and by volunteering and participating at the Hendrix Music Academy, or performing concerts for those who are isolated, in the mobile music academy program. At Hendrix Music Academy, our mentoring programs help turn At-risk Youth into Global citizens and Future Philanthropists. 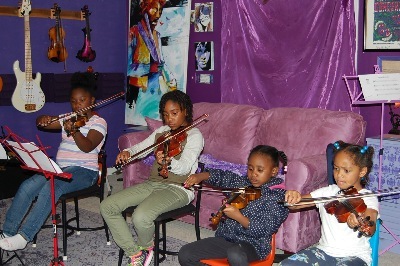 We take the Hendrix Music Academy programs on the road and provide music education and intervention programs to At-risk youth who are isolated from traditional communities for whatever reason. For example, we have taken our music programs and students to The Burned Children’s Camp, and to troubleshoot Indian Reservations where the youth are extremely isolated from society and not able to come to the music academy site. The youth receive music lessons and a show, and the students get to interact with music peers from other communities and groups. Low-Income high school students who are college bound, usually cannot afford to go on a college-tour, and thus they miss out on valuable information that helps with the college application and college financial aid process. Candidates for this program are low-income students who have just completed their junior year of high school, have a high achieving cumulative GPA of 3.5 or more, not including freshman year grades, and want to go to college. The college tour takes place during the summer before their senior year of high school. All travel expenses repaid through the Hendrix Music Academy College Tour Program. The ultimate goal for all Hendrix Music Academy students is that they complete high school and move onto to higher learning institutions. We support and encourage our At-risk Youth Students throughout their high school experience, to complete their high school diploma or G.E.D. Our mentoring programs encourage regular class attendance, responsible behavior, and non-violent conflict resolution. Our students agree that they will actively participate in school and that they will continue to pursue a high school diploma or G.E.D. completion. We would like to see all of our students participate in higher education, and if they have earned a high achievement, such as graduating high school and receiving a college scholarship, the Hendrix Music Academy gives them $500 college bound scholarship to help them with some of the unexpected fees and expenses associated with being college-bound. Candidates for this one-time cash scholarship are Hendrix Music Academy students who earned a high school diploma, have been accepted into college, have been awarded a college scholarship, are from low-income families, and find themselves with a real financial barrier to attending college. For example, barriers can be having no money for air fare, to their out of state-college, or not having a proper computer, or not having money for the many fees that new college students are expected to have. Often, Students must survive long periods of time before financial aid is established, but still need money for basic living expenses and educational costs during the waiting period. This program helps fill those financial gaps. A job program that allows students who are experiencing a financial crisis (such as a job loss, or homelessness) to earn money at the Hendrix Music Academy, for a period of up to three months, while regaining financial security. Students participating in this program must work with the Hendrix Music Academy in-house social worker to learn how to better manage their money and to prevent financial emergencies by creating and living within a budget, and becoming connected to resources in the community that can help At-risk youth overcome common barriers to employment, food, housing and education. Students continue participating in their choice of music programs at the Hendrix Music Academy, while earning above market wages and getting valuable job experience that helps them regain stability from their crisis, and helps them become more employable. This program is for low-income students who lack financial support, and are actively participating in life goals, such as higher education or activities leading to permanent employment. We mentor At-risk Youth out of their crisis and into a sustainable responsible way of living through education, support and continued guidance. All of students, volunteers and mentors receive a healthy meal as part of every class. Vegetarian, Kosher and Gluten Free choices are offered for all participants. Classes are often intense and last longer than 3 hours and many students commute from far away to participate in our programs. Nourishment is critical to brain function and a sense of well-being. Having a meal among friends is a great way to start each class day, because we have the opportunity to socialize and talk about recent issues, enjoy a sense of community and use this time brainstorm and plan musical goals for the day. 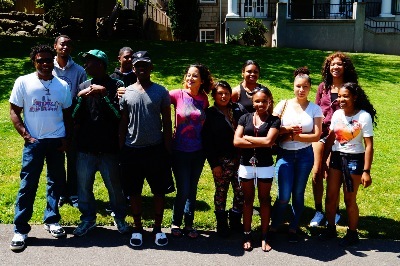 We provide door to door transportation for At-risk youth participating in our programs. Last year, we drove over 10,000 miles transporting needy youth to and from our music school in Renton, WA. We are committed to providing our services to students that need it the most. At the Hendrix Music Academy we are willing to go the extra 10,000 miles to make that happen! To Sponsor the Hendrix Music Academy, Please contact Tina Hendrix at tinahendrix1@yahoo.com Or call:425-255-5001 (during our phone hours of M-TH 10am-12 noon) Thanks for supporting the Hendrix Music Academy! A Not-for profit, 501c3 Educational Charity.